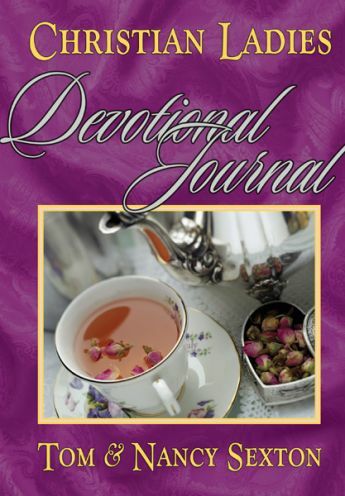 This devotional journal is designed to encourage ladies in their personal relationship with the Lord Jesus Christ and to strengthen them in their service in the local church. 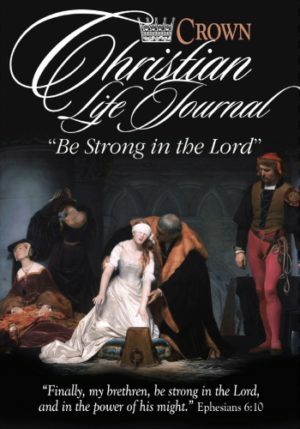 It will encourage ladies be a blessing to all those whose lives they touch. 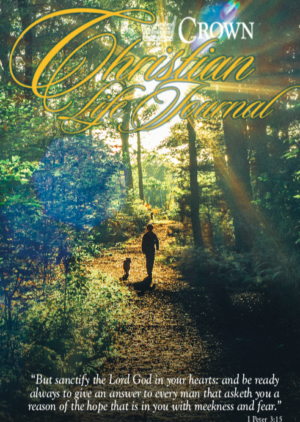 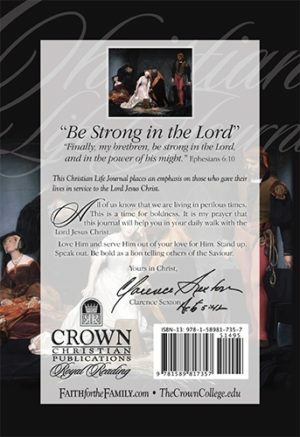 This journal includes a section with a promise for each day from God’s Word. 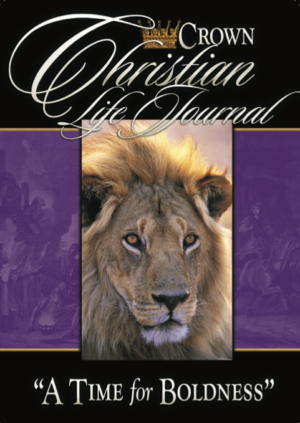 Space has been provided for them to record their thoughts as they meditate on each promise. 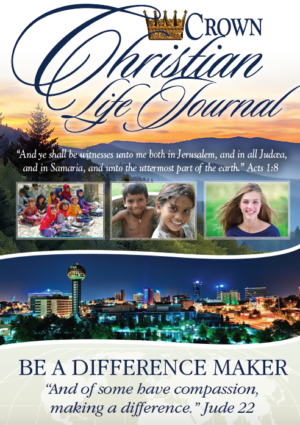 The prayer list, and soul-winning and follow-up sections will help them to pray for and win those who need the Lord. 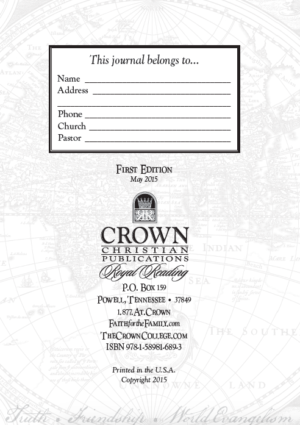 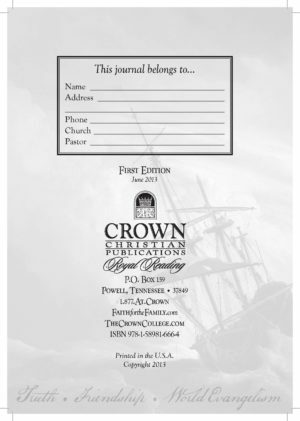 This journal also aids the reader with following up new converts for baptism and discipleship. 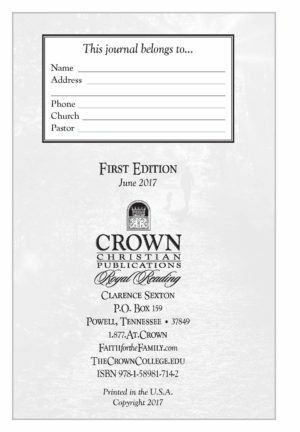 A personal section includes a Bible reading schedule, a sixteen-month calendar, and a personal directory to aid them in keeping up with important aspects of their lives.